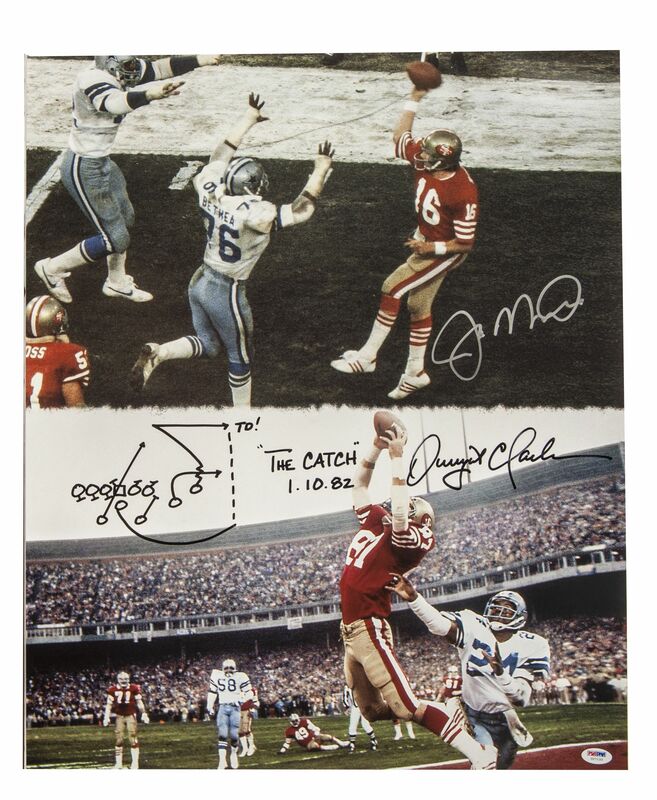 In one of the more memorable playoff moments, Joe Montana hit Dwight Clark with a last minute touchdown that propelled the San Francisco 49ers over the Dallas Cowboys in the NFC Championship Game to earn the franchise’s first Super Bowl appearance. This split screen 20x24 photo captures the defining moments of the play. 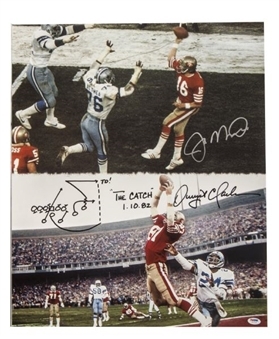 The top of the photo, which is signed by Montana in silver Sharpie, shows the Hall of Fame quarterback releasing the pass over two Cowboy defenders (Ed “Too Tall” Jones and Larry Bathea). 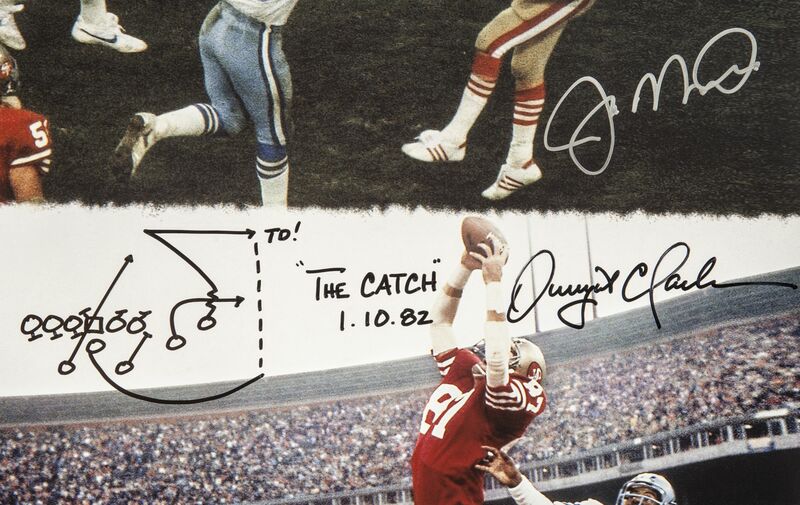 The bottom photo, signed by Clark in black Sharpie with a diagram of the play and an inscription that reads “The CATCH 1.10.82”, shows Clark making the fingertip catch over Dallas defender Everson Walls (#24). Comes with COA from PSA/DNA (#U27133). Auction closed on Saturday, February 8, 2014.